|| Description: Students design their own puppet to look like a famous figure from history. Students pick facial features that resemble the historical figure that they are studying, and design and build an outfit that suits the person. Students may also attach ‘props’ that are characteristic (e.g. Lincoln has a top hat and a copy of the Gettysburg address). Take a look at some of the puppets below – can you figure out who they represent? Michael Jordan and Martin Luther King Jr.
|| Prerequisite: Students should be learning about specific historical figures. They should have picked a specific person to make beforehand and have reasonable knowledge of who this person is/was and what they do/did. 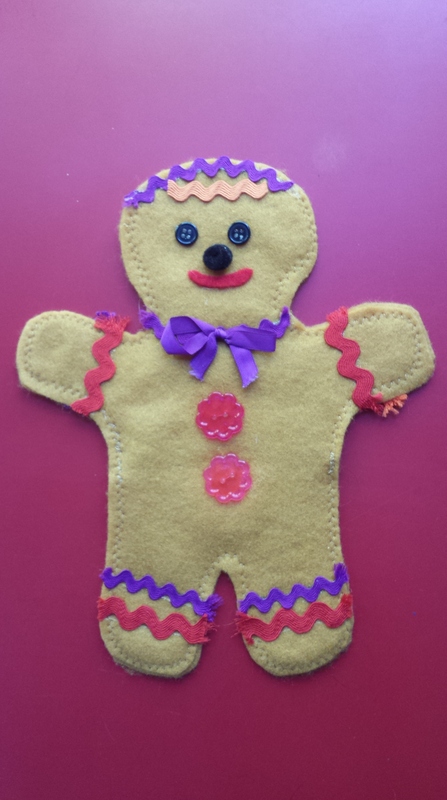 Near the holidays, we sometimes make Gingerbread puppets. It is a similar project but with different accessories.